It gets so frustrating when my day ends up getting clogged with meetings, emails, and instant messages. A few days in a row of this and at the end of the week, I have no real work to show. I haven’t contributed anything to the organization, learned anything new, or made progress on the projects that I’m excited about. A few months of this, and it starts to feel like I’m never going to get any work done. Not only that, someone’s gotta eventually notice that I’m not doing any actual work right? If only I didn’t have to answer all these e-mails and attend all these meetings. Thankfully for us, distractions have always been an issue for knowledge workers. Many wonderful people have tried various productivity systems, here are a few that I find useful. Consider the urgent and important tasks, the ones where if you decide you’re going to put off for another 24 hours, you’re going to get fired, or your customer is leaving you. In a fairly strong organization, this should happen infrequently, less than once a week or month. These are your first tasks. Outside of that, work on the important and not urgent. Work on the things that will push you forward in your growth and development and the project that gives you the best opportunities. In Eisenhower’s words, these are the ones that are seldom urgent. 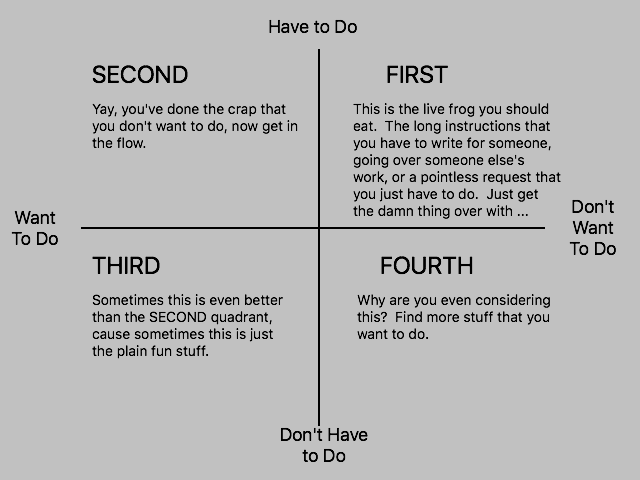 Where this matrix falls though, are the things that are not very important, but are things that just needs to get done. What happens when those things get pushed down the priority list, is that work that needs to get done slips through the cracks, gets delayed, and people are waiting for it. This isn’t good for the organization, and therefore, not good for you me either. 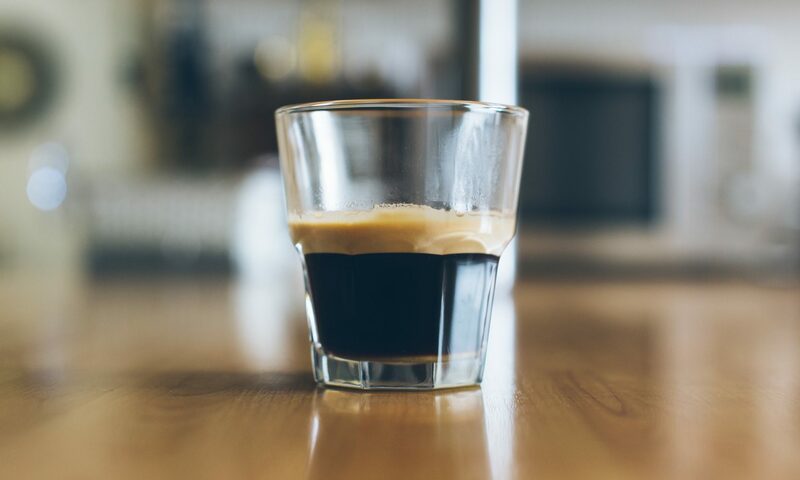 So while it’s important to focus on the growth and development opportunities, tempering it with tasks that need to get done using the next method works well. I’ve found this method to be quite helpful. The full method is fairly self explanatory through this beautiful matrix I drew in my free Paint app. Where this method differs, is that stuff that are not important, but have to get done, are the things that go first. Rip the bandaid, get it over with. It’s kind of like, do your homework right when you get home, and you can play and do whatever you want afterwards. 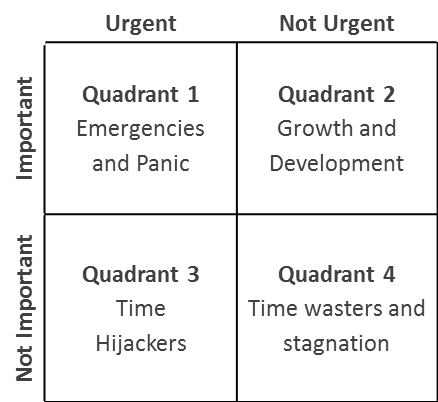 Where this matrix falls through, is that your time can end up getting entirely consumed by tasks that you don’t want to do, or the ones that don’t provide the growth opportunity for you. This isn’t good for your own fulfillment, effectiveness, or your career. There are some days where you have more energy than others. Your best days, where you got a great sleep, you are focused, you woke up knowing your why and your purpose, these are the inspiring days that don’t come often enough. These days, choose the Eisenhower Method. Asides from the emergencies, work on the things you want to do! It creates the synergy of knowing what you want to do, why you want to do it, and having the mental resources to work on it. On the other days, when you have a backlog of things that have to be done that you don’t want to do (and there is always a backlog), work on those things. Get through it as much as you can, get through the day, and just eat the live frogs so you can get to work on the things you want to do.